Records are made to be broken and for Apple, records are usually tied with iPhone sales. Given that its new batch of devices officially launched three days ago, on Septmeber 25, in a handful of countries, we were keeping an ear close to the ground, waiting for some news about the early adoption of the iPhone 6s and 6s Plus. Well, official data is just in: Apple sold more than 13 million iPhone 6s and 6s Plus units during the first three days of availability. That's a record-breaking result, trumping the company's last year 10 million sales during the first two days of availability. However, Apple did not break down sales between the two phones; it also did not reveal sales numbers under the newly-introduced iPhone Upgrade Program. This phenomenal, record-breaking result would have probably been even more impressive if the two new stars in Apple's portfolio were available in more countries, but at the moment, it's only available in the major markets. Interestingly enough, it was launched in the USA and China on the same day - as a refresher, last year's iPhone 6 and 6 Plus arrived in the Far East a couple of weeks after their US' debut. Still, Apple just revealed that the devices will be hitting a wealth of new markets on October 9. The newcomers will be Andorra, Austria, Belgium, Bosnia, Bulgaria, Croatia, Czech Republic, Denmark, Estonia, Finland, Greece, Greenland, Hungary, Iceland, Ireland, Isle of Man, Italy, Latvia, Liechtenstein, Lithuania, Luxembourg, Maldives, Mexico, Monaco, Netherlands, Norway, Poland, Portugal, Romania, Russia, Slovakia, Slovenia, Spain, Sweden, Switzerland and Taiwan. On October 10, countries include Bahrain, Jordan, Kuwait, Qatar, Saudi Arabia and United Arab Emirates. 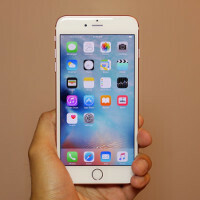 iPhone 6s and iPhone 6s Plus will be available in India, Malaysia, and Turkey. By the end of 2015, the two devices will be available in more than 130 countries, Cupertino also revealed. Make sure to check out our handy and thorough guide on how to get yourself a new iPhone 6s or 6s Plus. Our reviews are coming really, really soon, so stay tuned! This has more to do with subsidies going away than anything. Now that you don't have to wait or time it perfectly people will upgrade more often. Seen camera comparisons as well speed of fingerprint scanner comparisons. lol, just lol. People are so stupid generally. Parena why u talking about how manyiphones been sold only? You never takl about other phones how many been sold only these..why? And so what now when iphones sales are.so high ? What now ? Christmas ? Hooray ? We can't sleep now ? To be honest, I can't fathom the heck you are trying to say. This is good and bad. Apple eats up 92.7% of the revenue in the app industry. And now with mediocore upgrades to the iPhone, Apple is still setting records. The problem here is sooner or later it will be THE ONLY PLAYER in town and if history teaches us anything then this scenario will never end up being good for us...the consumers. Its sad to see companies like Samsung, Xiaomi, Sony, HTC, Sharp and others pour their hearts out into their products and see declining sales quarter after quarter. I am not criticizing Apple and yes Apple loyalists can argue it has probably the best mobile ecosystem but nonetheless there will always be people who don't want the so-called best ecosystem or simply want something different. I have used all platforms and there are huge rooms for improvement on all of them iOS included. Lol at not giving credit where credit is due. Not hate the truth admitting apples greed over the consumer!! Are you brainwashed by Apple?? From a business point of view, tells why is Apple greedy? Are their devices more expensive? i.e. 6s vs. Galaxy 6 or are their any other mitigating circumstances? If you think any business cares about the consumer, you are in for a rude.....is all about supply and demand, and no one is obligated to purchase any devise. Exactly!! Apple don't deserve it all!! True, but I'm sure China did not sell the entire 3 million in one weekend. The probably accounted for 1 million, so still crazy YOY increase. There is over 1.5 billion people there but you say just 1 million buyers ?!? even if Apple was available in my country it wouldn't make a difference as the article claims and last year apple sold 10 milion in 2 days but this time around it's 13 million in 3 days... from my basic math, that's no improvement. 5S initial launch included China, 6 launch didn't, 6S launch did. So we've gone China, no China back to China again. The point is that 13 million iPhones were sold in a freaken weekend, why do you people try to take away from such an accomplishment. And true, it doesn't have top notch specs, but it is a great upgrade for iPhone users. I ve seen the comparisons, and I bet you, that put the iPhone pictures alone and people will be impressed by them, it only lost to the G4 and S6, which what every other phone did for the past year. I know lotta people who would go for the iPhone just because it's a symbol of status these days, but the majority of those I know who opt for an iPhone do it because they feel it is the simplest UI for them and fits their need. We'll wait for the breakdown of each Android device. Please list the Manufacturer, phone name, phone model, release date in a .CSV format in Excel.